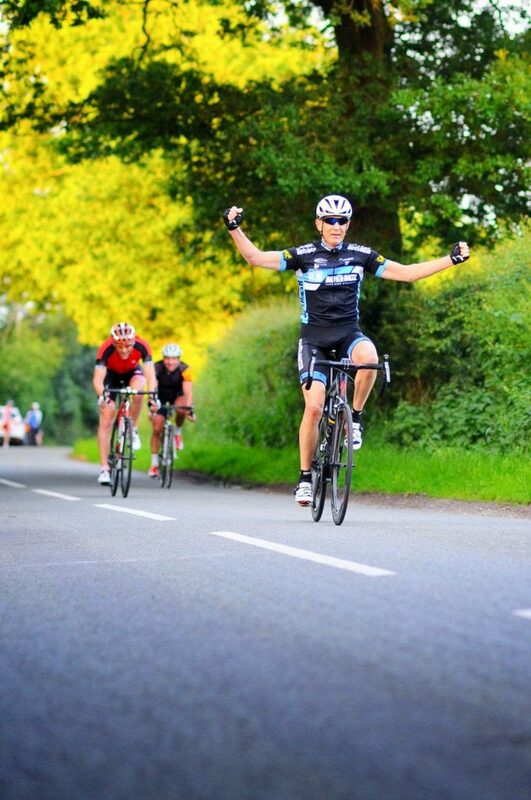 Wednesday (June 11th) evening saw the return to the calendar for the Warrington Road Club Derek Devonport Memorial under 50’s and over 50’s road races on the Budworth course in Cheshire run under the rules and regulations of TLI Cycling. We were blessed with a balmy evening and some great racing. 70 riders took part supported by motorcycle outriders giving it a touch of pro tour feel. The racing was fast but safe and in the under 50’s event a break of 8 riders established itself which included riders from Dave Hinde Racing Team, OnimpexBioracer Racing Team and Team Kuota / Spinergy / Gsg amongst others. Steven Fidler (Dave Hinde RT) went on to take the line with a thoroughly deserved win following a very strong performance. 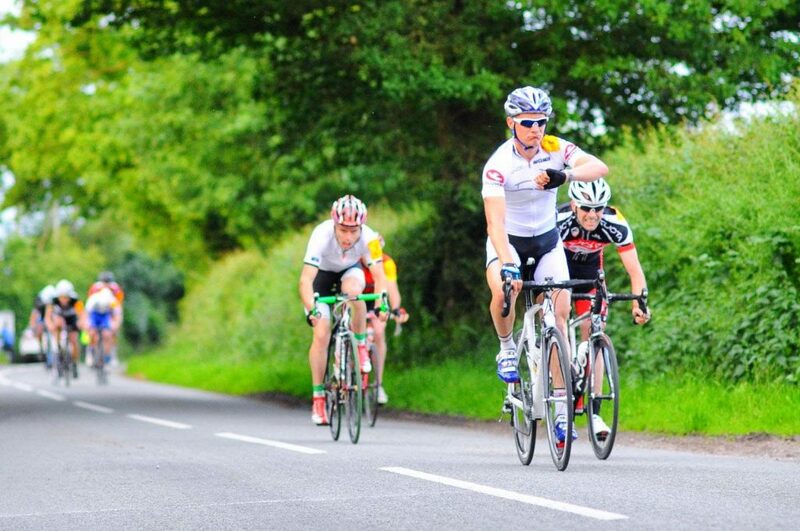 Robert Palmer (Team Kuota/Spinergy/Gsg) took 2nd place and 3rd went to Andrew Prince(Stafford Road Club). In the over 50’s race a break of 4 eventually established itself with 2 laps to go. OnimpexBioracer RT’s Steve Jolley took the honours with Nick Giles (Wrexham RC) 2nd and Stephen Wilkinson (Wills Wheels) coming home in 3rd. Steve Fiddler, Winner of the Under 50’s. Steve Jolley first over the line in the over 50’s race. Special thanks to all the Warrington Road Club marshals and helpers on the night along with Manchester Medical Services for providing medic and support car, Ian Shearer & Gordon Campbell for providing motorcycle assistance, Horton Light Engineering, Ron Spencer Cycles and thanks to all the riders for staying safe and racing fast.